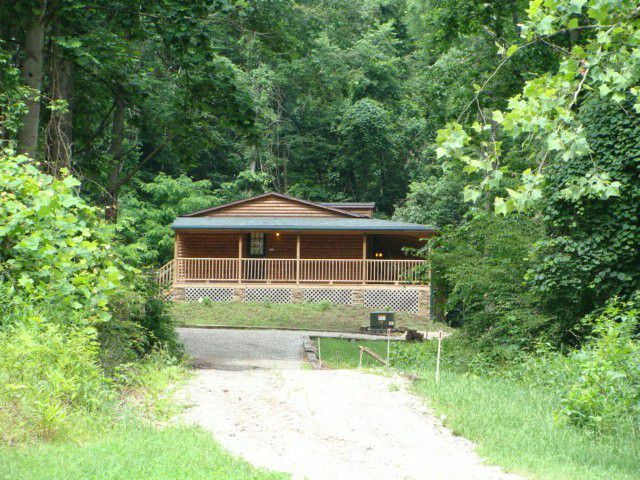 HICKORY GROVE CABINS are a peaceful getaway nestled in the Hocking Hills and you can enjoy all that the seasons have to offer. 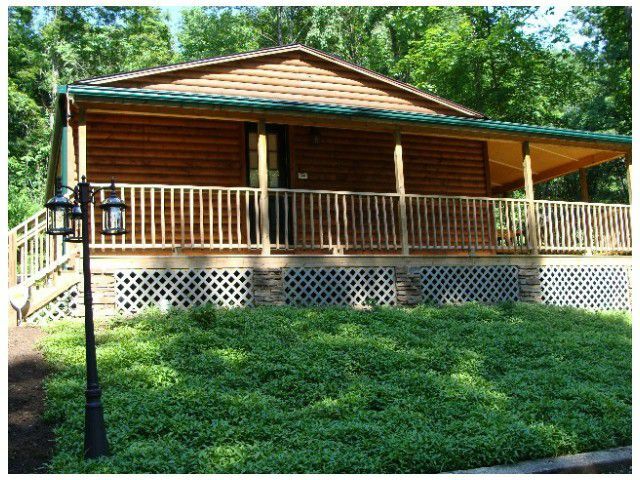 Enjoy the secluded Hot Tub on the spacious porch with someone special and snuggle by the fire with a glass of wine for that romantic evening or just enjoy fishing in your own private pond. Pamper yourself with an in cabin massage and bring your favorite music to enjoy. Each of our seasons has it’s own charm, from the blooming of life in the SPRING to the hushed soft fall of snow on the roof in WINTER. If you haven’t experienced the beauty of a waterfall in WINTER then Hocking Hills is the place for you. The FALL colors are stunning and you would be hard pressed to find a lovelier getaway. There is no end to the beauty that abounds in the forest and on the trails, and you may even make a friend of a deer or two. Snuggle in front of the fire in the fireplace with a glass of wine or drowse by the campfire under the stars with hot chocolate in hand and enjoy the scenery year round. Once you get hooked you’ll return year after year and revel in the beauty, peace, and quiet. 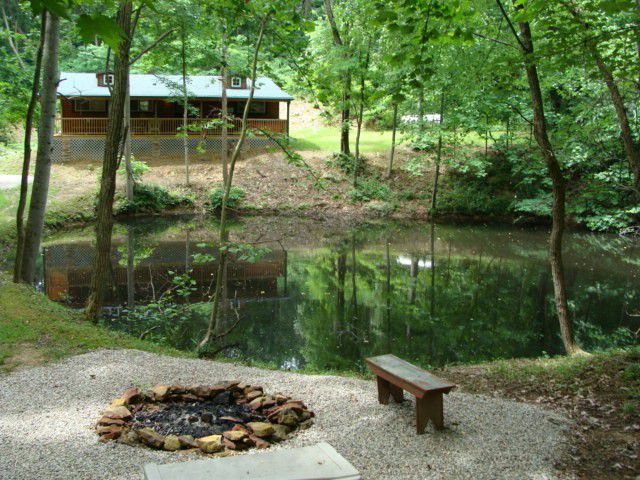 Come and enjoy the beauty of the great outdoors in Gorgeous Hocking Hills. 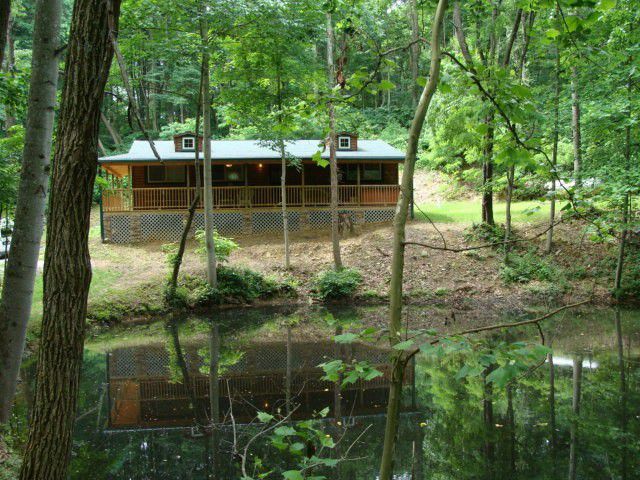 Our cozy Hickory Grove Lake View Cabin sits amidst the Pine and Hickory trees overlooking your own pond on 8 private acres. Hear the frogs speak to you and watch the deer drink while relaxing in the Hot Tub. Forget about your worries and let the daily grind go. 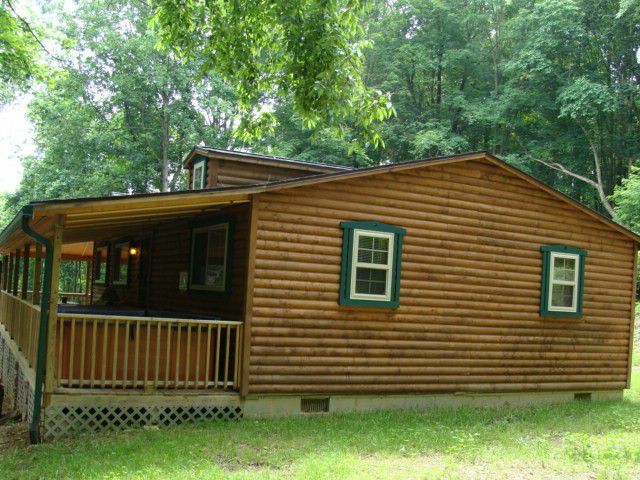 Treat yourself with an in cabin massage or a glass of wine. 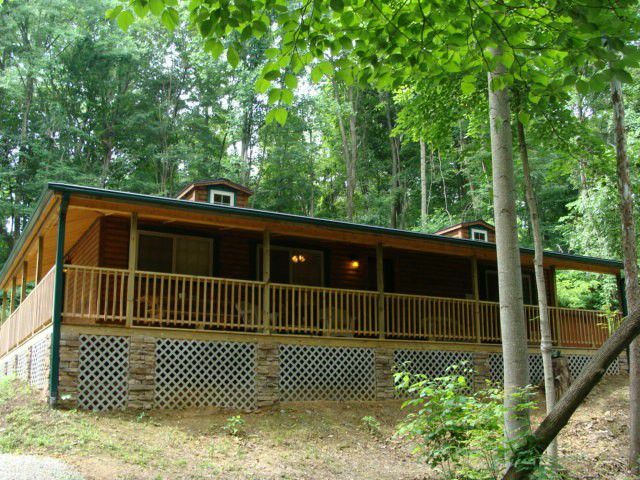 3 Bedrooms with Queen size beds and 4 inch memory foam mattress toppers. Copyright ©2017 Hickory Grove Retreat.Com All rights reserved.